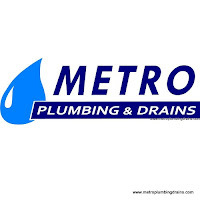 Metro Plumbing & Drains has successfully serviced many residential and commercial properties over the years, making us number one experts in this particular service. We understand the importance when we accurately detect a leak and we also understand the consequences if we don't. This is the main reason as to why our company spent extra time in learning the latest technologies and techniques; put in extra effort into making it our strongest expertise, and invested extra money into the latest equipments to guarantee our customers the most efficient results in minutes. There are many potential reasons, and often even a combination of issues that can influence water leakage occurrence. Old plumbing systems, defectively constructed pipelines, inadequate valve maintenance, poor corrosion protection, and mechanical damage are all major aspects that can lead to water leaks. Determining a possible water leakage in your property at early stages can save you lots of money and hassles. The first noticeable indication will appear on your water bill. If your monthly water bill is continuously increasing with no obvious explanation to it, then you might want to consider calling a professional plumber for water leak detection service. As mentioned above, accurate water leak detection can prevent major property damages, unnecessary water losses, and possible contamination. It is very important to choose the right company to for this service. Metro Plumbing and Drains provides most efficient results in no time! We use the most updated techniques and equipment! When it comes to leak detection equipment, we spare no expense in finding the latest and most accurate equipment. As usual our company has taken one step further by developing and successfully implementing our own special set of techniques, to ensure that water leaks are detected effectively in a non-invasive way. Meaning that we will locate leaks almost anywhere on your property without causing any damage. Our expert plumbers will use a wide array of detection techniques in order to identify a leak regardless of how complex or hidden it is. In addition to using the best equipment, we also use the best plumbers for this job. Our company is known to employ only experts with lots of experience and skills who are able to provide and guarantee our customers the most professional services possible.